Stock # 2292, 3.7L V6 DOHC 24V, 6-Speed Automatic, 28586 mi. 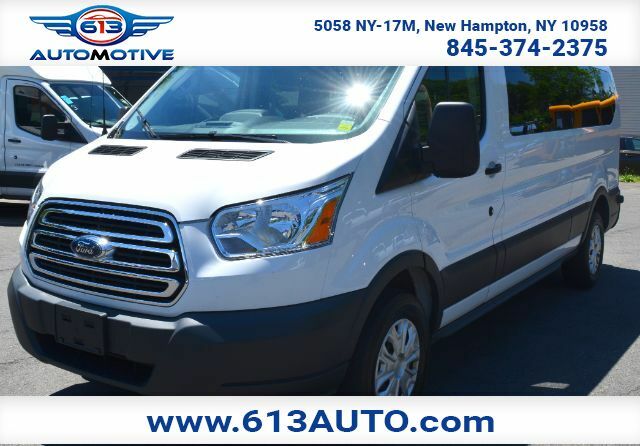 Efficient, refined, and spacious, our 2016 Ford Transit XLT Wagon in Oxford White will more than impress you! Powered by a proven 3.7 Liter V6 that generates 275hp while paired with a smooth shifting 6 Speed Automatic transmission. This Rear Wheel Drive Van provides a comfortable ride, easy maneuverability, and excellent fuel economy at near 20mpg! Take a look at our Transit XLT Wagon, and you''''''''''''''''''''''''''''''''''''''''''''''''''''''''''''''''ll see attractive wheels and a low step-in height. Highly customizable, this machine can fulfill whatever your needs may be! You''''''''''''''''''''''''''''''''''''''''''''''''''''''''''''''''ll enjoy a spacious cabin that has been thoughtfully designed, as well as a tilt-and-telescoping steering wheel, rain-sensing wipers, cruise control, floor carpeting, full power accessories, air-conditioning and a sound display with a CD player and 4-inch display among other amenities. You''''''''''''''''''''''''''''''''''''''''''''''''''''''''''''''''ll drive confidently knowing that your Transit Wagon is equipped with safety features such as a rear-view camera, stability control, frontal airbags, front side-impact airbags and anti-lock brakes. Ready to tackle your biggest ideas, our Transit will make an excellent partner for work or play! Print this page and call us Now... We Know You Will Enjoy Your Test Drive Towards Ownership!